Flattering50: Eco-Fashion and Beauty: What's New? Soapology is my favorite soap and lotion shop in New York City. The little shop, which is located on 8th Avenue in the West Village, has a creamy-dreamy décor and the young women who worked there are helpful, really lovely. 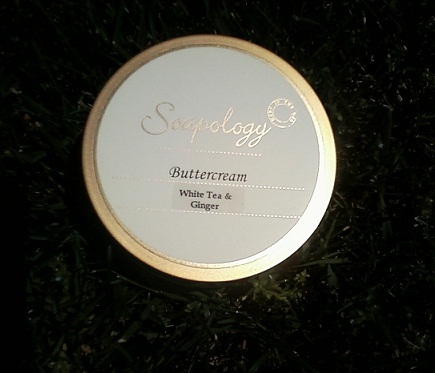 The line of soaps, scrubs, lotions and candles are all formulated using natural and organic ingredients. What’s more, all the product packaging is biodegradable and environmentally friendly. First-time visitors can have their hands pamper with soap, scrubs, and lotions at no charge. It’s an opportunity to try some products and I highly recommend it. Afterwards, I wanted to shake everyone’s hand with my velvety smooth hand. Soapology “believe[s] each individual is uniquely inspired by their sense of smell.” At the “aromatic oil bar,” a shop attendant will help you create a special scent for any product. I love going in with a girlfriend and creating a new scent. On a recent trip to the shop, I was told that Soapology would give me 10% off on my next purchase, if I bring my empty container back. It just made me love the shop even more to know it promotes recycling. If you can’t get to NYC, you can shop online. Speaking of eco-beauty products…In Style magazine has posted a slideshow of natural products, entitled Do These Green Beauty Products Actually Work? There is feedback, not always glowing, on each product. Among those that received good feedback were a puffy eye cure, wrinkle serum, 48-hr frizz fighter, and a sunscreen. Target is celebrating the earth all month with by promoting earth-friendly products, tips and coupons. And tomorrow, April 22nd, the mega-chain store will give each guest a free reusable bag (while supplies last). So if you’re planning a trip to Target tomorrow, be sure to get a bag. If you haven’t tried the store’s Method products, I highly recommend you do. Your house will smell fresh, not like chemicals, when it’s clean. And I love the liquid hand soap, too.